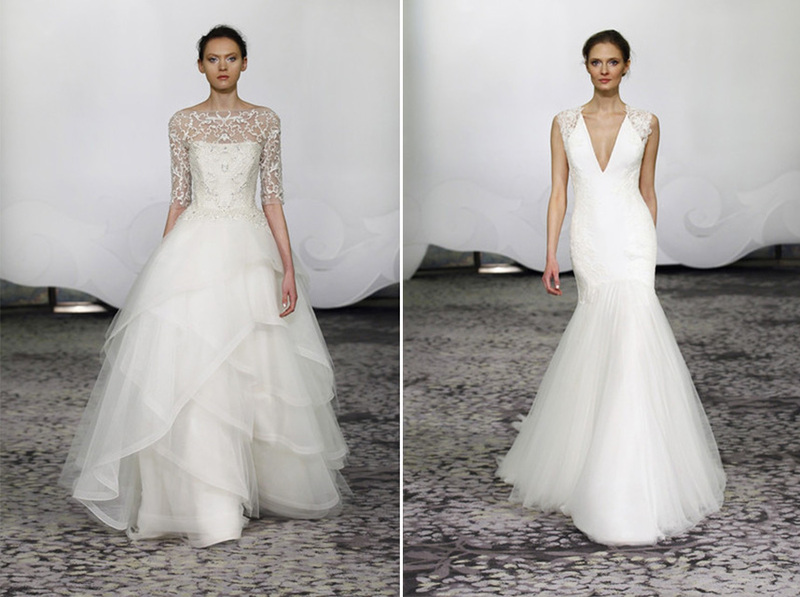 We’ve been gushing over some of the gorgeous wedding gowns that have come off the Spring 2016 New York Bridal Fashion Week runway and just had to share some jaw-dropping details from dramatic backs to stunning lace appliques these dresses are simply stunning! 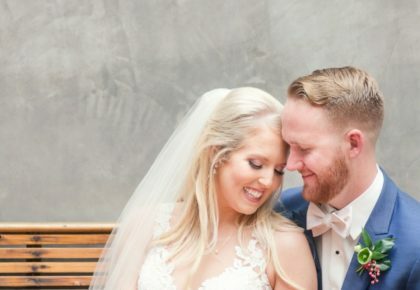 Stay tuned as we continue to share more of our favorite Spring 2016 wedding gowns! 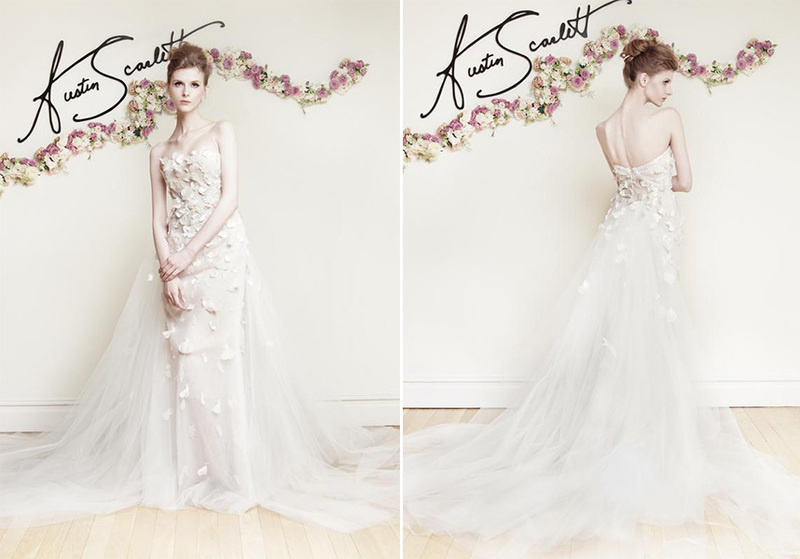 Austin Scarlett continues to take the wedding world by storm with inspiring wedding gowns packed with delicate and feminine details! Shop locally at Julian Gold. 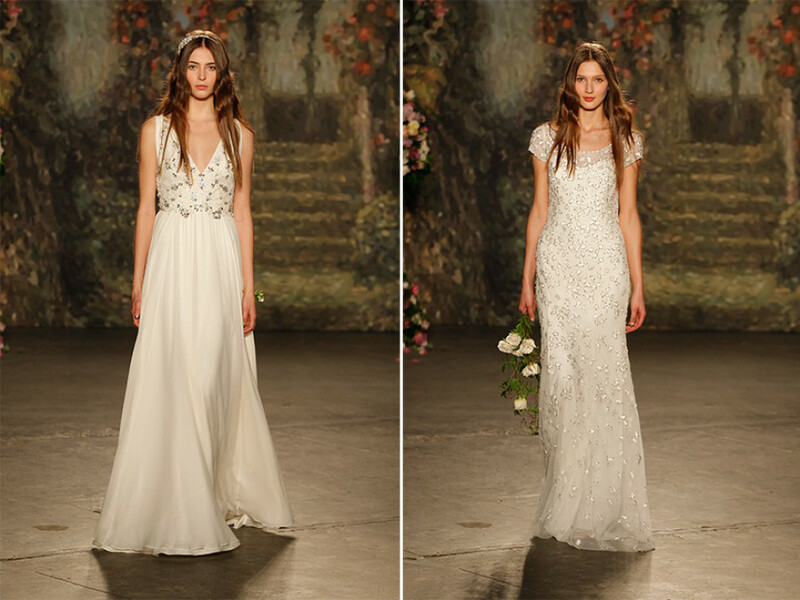 Always on the cutting-edge of fashion, Jenny Packham made a splash at fashion week with tons of sparkle and soft flowing gowns! 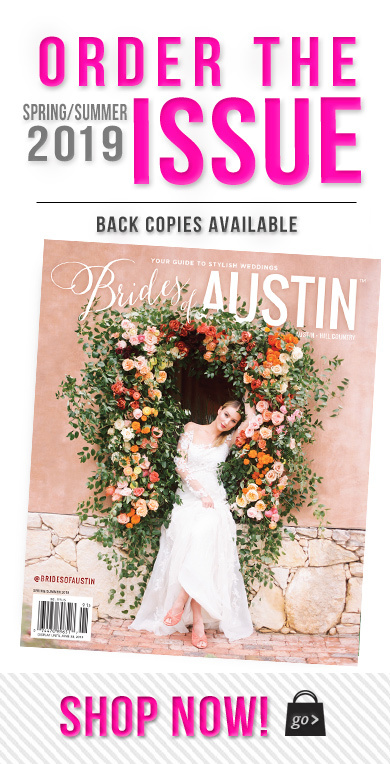 Shop locally at Blush Bridal Lounge. Gorgeous prints and stunning lace! Need we say more? Shop Elizabeth Fillmore locally at Julian Gold. 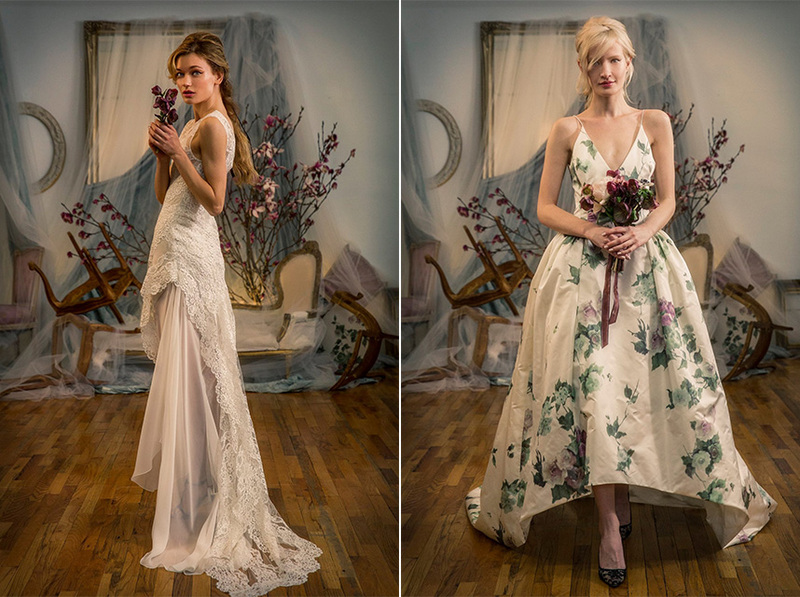 Always edgy and feminine, Hayley Paige once again blows us away with her latest collection! 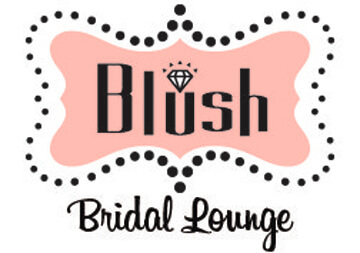 Shop locally at Blush Bridal Lounge. 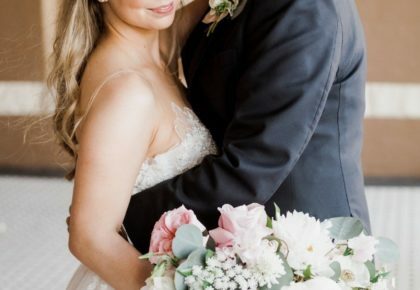 What could be more feminine than a floral hand beaded bodice and soft tulle skirt? 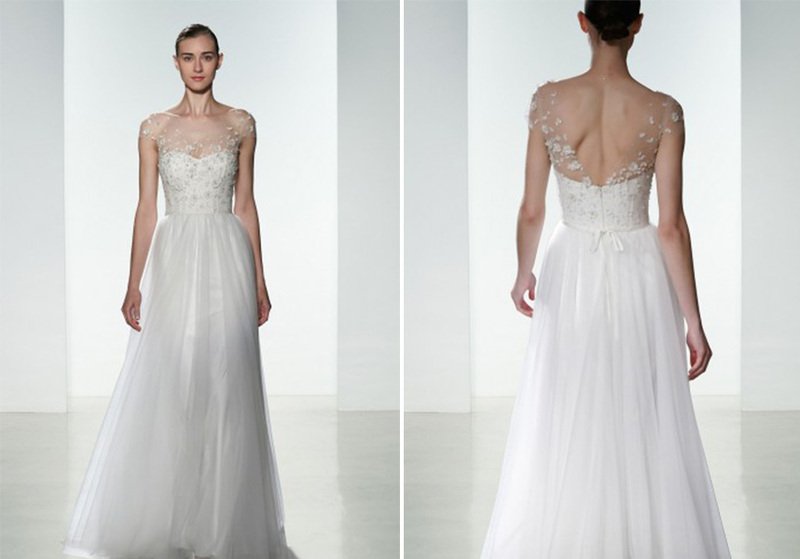 This dreamy gown from Christos is pure perfection. Shop locally at Julian Gold. The essence of simply luxury, Rivini reveals gorgeous silhouettes with the perfect finishing touches. Shop locally at Julian Gold.